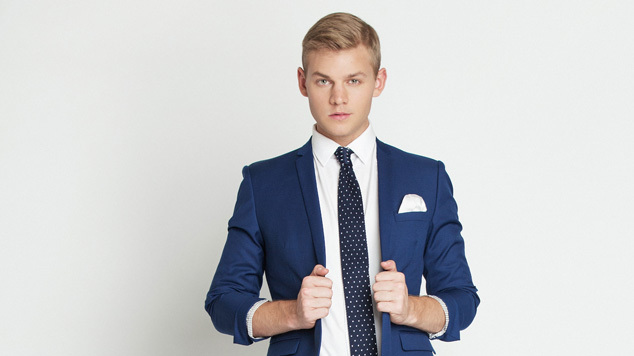 Comedian Joel Creasey has shared his thought on politician Bob Katter’s suggestion that being gay has become a “fashion trend”. Creasey opened up about his experiences of being bullied in high school during an appearance on Channel Ten’s Studio 10. Creasey said Katter’s statement was “pathetic drivel” and “nonsense”. On Wednesday Bob Katter told reporters that he believed being a homosexual had become fashionable and in time would fall out of fashion. The Queensland MP said he’d never met a homosexual person until he was over 50. “His pathetic drivel in nonsense.” Creasey said. “He’s just looking for a headline – clearly because he’s been out of the new for a while, but to say it is a fashion trend is so offensive. Panelist Kerry-Anne Kennerley said it was clear that Katter’s “hat was on too tight”, while Joe Hildebrand said it was ridiculous that Katter was telling people he’d never met a gay person until he was over 50 – when his own half-brother is gay. Bob Katter first entered politics as a member of the Queensland parliament in 1974 where he served as a member of the National Party. In 1992 he made the switch to federal politics. In 2001 he resigned from the Liberal-National coalition and became an independent. In 2011 he formed his own party Katter’s Australia Party.